The hermetically sealed gauge version of the PX409 Series features all welded Stainless Steel construction, 316L wetted parts and glass to metal seals (GMS) at the electrical outlets with either twist lock connector (PX429) or solder pins (PX449) terminations. This ensures that the unit is hermetically sealed from external environments and the media. Designed for use on automotive and aircraft test platforms and anywhere environmental concerns demand the most durable characteristics. The sealed gauge models have the PX409 Series micro machined silicon core that provides high accuracy, low drift and excellent long term stability in the harshest environments. Still can't find the right model? 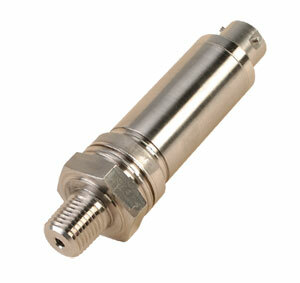 Specify the perfect transducer for your application with this easy, step-by-step configurator. Nota: Comes complete with 5-point NIST traceable calibration. Note: To order 0 to 10 Vdc output, change “5V” in model number to “10V”, no extra charge.